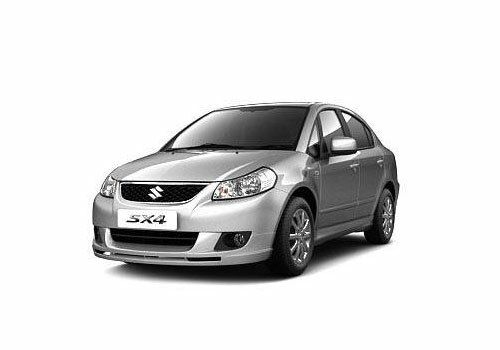 Maruti SX4, a revolutionary design that took Maruti’s brand reputation to the all new level and is the only Maruti sedan which can be best defined as the brand ambassador of looks with good engine power and amply spacious interiors and all of them at a very reasonable price too. Finally Maruti has came to understand the vital requirements for being a part of the most competitive segment and they equipped the adoring bombshell with all the modern amenities and put it in direct competition with Honda’s city and Hyundai’s Verna, the leading drivers of the luxurious segment. I have been driving SX4 for the last 2 years and all this time I enjoyed the ride quality at best and still everyday when I open its door and take steering in hand I get the same exciting feel that I get on the very first day. I have driven it close to 60k kms and every weekend I love to go long drives. I have come recently after a good ride of 3000 kms, I left for Jammu six days back with my wife and daughter then we get to Kashmir, Shimla, Manali and after visiting the great Golden Temple of Amritsar we finally returned home and we all are still full of energy with no signs of fatigue so you can have a fair understanding of my adoring car’s comfort level. Car is amply spacious with good boot space that enables to carry world with us. A great car designed by the best manufacturer and it makes it a best value for money and it’s a car you can go for without any second thought in mind. I agree with you because it is full of loading nice features.